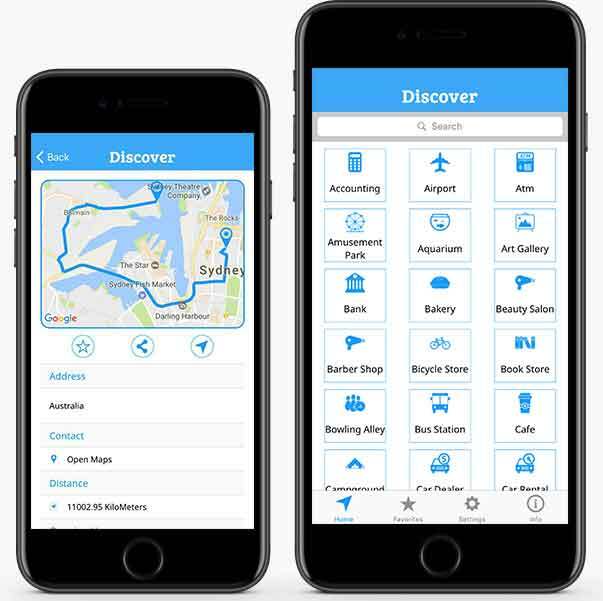 Discover app lets you find places nearby with a few taps. We have categorized places for convenient access and refined search so that you achieve more by doing less. You can set range with your desired distance in order to limit the search within a radius. Discover also lets you see details of the places including opening & closing hours. You can also find more about specific place by going through its images. The app features soothing UI and eye comforting themes for the best and customizable user experience. to share with the world so Mujadidia Inc. can grow!